PRESIDENT BUSH AND LAURA BUSH HOLD HANDS AS THEY WALK FROM MARINE ONE TO AIR FORCE ONE AT FORT HOOD. INCLUDES GREETERS. THE BUSHES ARE EN ROUTE HOUSTON. 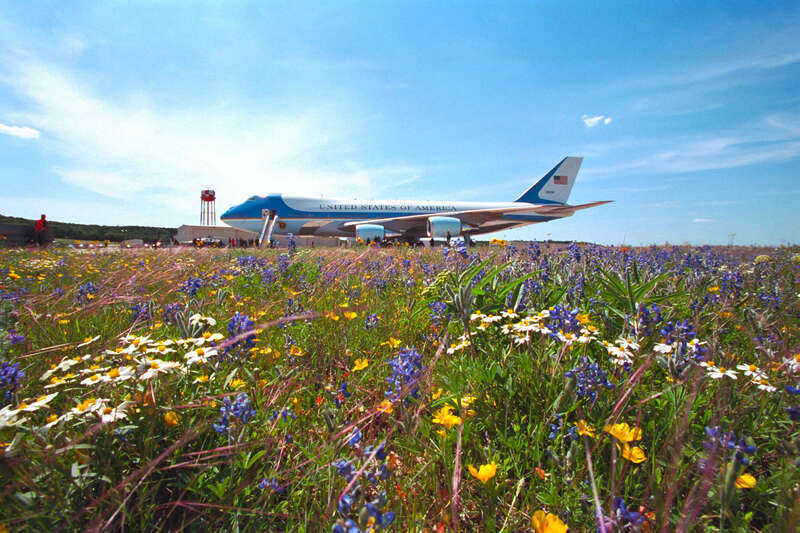 INCLUDES SHOTS OF AIR FORCE ONE ON THE TARAMC IN THE DISTANCE, SHOT FROM A FIELD OF FLOWERS. INCLUDES AERIAL SHOTS OF THE RANCH.